LOCAL RECORDS OFFICE – As an apartment renter we like to think that nothing will happen to our apartment unit and if something does happen the neighbors will rush to help. This isn’t always the case. Just like houses, apartments run risks too. Renters actually run bigger risks than homeowners do. Renting an apartment isn’t all what it seems to be. Renters run higher risks because other people in the unit may cause the tragedy. For example one person in the unit may leave the iron on and the iron tips over and the entire building catches fire. Another example may be that one of the neighbors is a professional thieve and he or she is watching your every move, the thieve will know your entire schedule and knows when is the best time to break into your house. Situations like these happen all the time, that’s why getting renters insurance is so important. Other problems renters come across are natural disasters like tornados; hurricanes, earthquakes and wildfires just to name a few. Imagine going to sleep like you do every night and waking up to a huge puddle inside your living room. This is what happened to Crystal Baker southern California woman. She woke up with her belongings soaked in a puddle of water from the rain from the night before. These types of catastrophes happen to people all the time. The culprit? A small hole that went from the roof to the ceiling. The roof had holes due to aging and termites. The roof had an opening and when it rain the majority of the rain that landed on top of her side went inside and ended up in her living room. 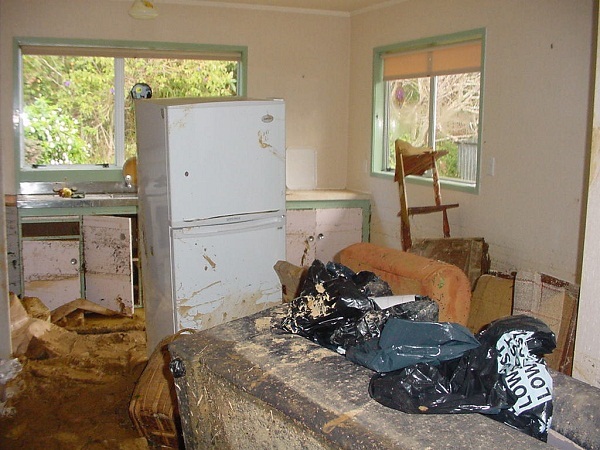 Water damage is just one of the problems renters may come across. Water damage causes millions of dollars in damage a year. Due to heavy rain and a faulty roof Crystal’s entire living room is ruined. Another problem could be that someone in the building could be smoking, they fall asleep and they will accidentally drop the cigarette or ashes, this will cause the rug to catch fire and eventually casing the entire building to catch on fire. There was a case in downtown Los Angeles were a couple of college students led police on a high-speed chase, the young adults drove the stolen car into an apartment building destroying the majority of a families belongings. The car hit the apartment building so hard that the car went through the living room and part of one of the 3 bedrooms. The landlord had insurance in the building but his insurance didn’t cover the renter’s belongings. The renters didn’t have renters insurance and to make things worst they had most of their belongings destroyed. Situations like this one are rare but its possible. Fireworks just like internal apartment fires are common all across the United States. Firework fires cause millions of dollars in damages each, firework fires not only cause fires in homes it also cause fires in forests, large landscapes, factories and even boats. There was a case where the Johnson family were celebrating 4th of July while lighting bottle rockets, one of the bottle rockets landed on the roof of an apartment complex and started a roof fire. The roof caught fire rather quickly since it had been collecting dried leaves from the tree next door and strong wind. When the fire started the Johnson family called the local fire department but since they were in a rural location the fire department were going to take at least an hour to get there. The entire tenants from the upper level lost the majority of their belongings, the rest of the lower level had to move to severe building damage. Again, the landlord had insurance and was paid off but none of the residents of the apartment had renters insurance and had to start all over again. Kentucky is known for bad weather and tornadoes, that’s why it was given the nickname ‘tornado alley’. A family from Lexington, Kentucky had their home and entire life belongings destroyed in a matter of seconds by one of Kentucky’s famous tornadoes. This was just the beginning struggle of the Thompson’s family. The Thompson family had helped from the city’s hospital but after they were released they didn’t have help from anyone else since they didn’t have renters insurance. They thought by skipping on renters insurance they were saving money but at the end they were sorry. These types of events happen all the time in the United States, it doesn’t matter if you live in a nice house or an apartment complex, there isn’t any property that isn’t crime or fireproof. It could happen to anyone.